Dr. Mahmoud Sharara received his M.S. and Ph.D. in Agricultural and Biological Engineering from the University of Arkansas with the support of the University of Arkansas Doctoral Academy Fellowship. He was a postdoctoral research associate and an assistant scientist at the Biosystems Engineering Department and the Wisconsin Energy Institute at the University of Wisconsin-Madison. 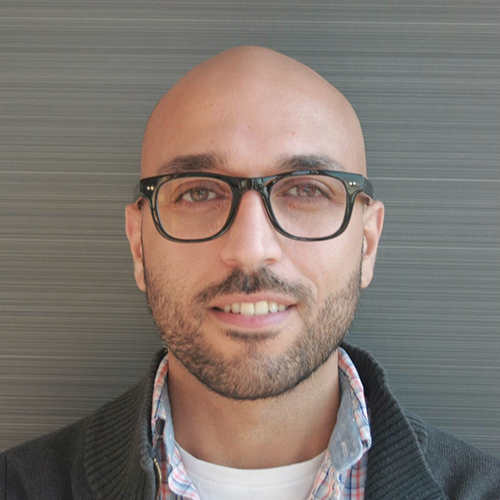 Dr. Sharara joined BAE in August 2018. Dr. Sharara’s research focuses on investigating pathways for the sustainable management of agricultural waste and byproducts to generate value-added products and reduce agriculture-related impacts on ecosystems. His research incorporates the use of field studies, process modeling techniques, techno-economic assessment (TEA), life cycle assessment (LCA), and spatial optimization tools to guide the development and adoption of sustainable waste management practices and technologies. Swine lagoon sludge management is critical to the operation of swine facilities. Sludge removal from the lagoon is costly and can result in additional cost associated with transportation and land application. In North Carolina, the limited cropping acreage introduces yet another constraint on sludge management. Swine sludge can be processed to generate a dry biomass feedstock that is easier to transport and apply as nutrient source for bioenergy crops and grasses, or as a feedstock for combustion alone or blended with poultry litter, or lignocellulosic feedstock. Sludge removal and drying represent bottlenecks that impede the development of these utilization alternatives. This project will develop and evaluate the performance of sludge removal and drying systems, and characterize the removed, dried sludge as a soil amendment and as a combustion feedstock. The flooding caused by Hurricane Florence, which charted a path through southeast NC, provides an immediate and unprecedented opportunity to study the potential dispersal of contaminants into the environment by floodwaters. Contaminants include pathogens and nutrients associated with waste products of confined animal feeding operations (CAFOs) and slaughterhouses, heavy metals associated with coal ash, and emerging contaminants related to industrial facilities and wastewater treatment operations. In particular, the NC counties most affected by Florence house thousands of swine operations that treat the waste of millions of animals in open lagoons and sprayfields. Thousands of additional poultry operations collect dry waste and transport it to nearby farms for land application. Waters from Hurricane Florence are currently inundating these lands, mobilizing agricultural wastes and emerging contaminants. This work is prudent, given that extreme flooding events are likely to become more common with the growing threats of climate change.